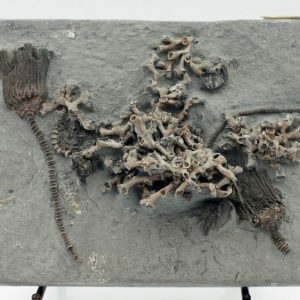 CRINOIDS are a class of echinoderms, commonly known as “sea lilies” and “feather stars”. 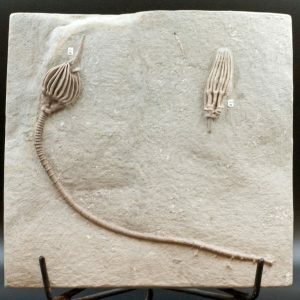 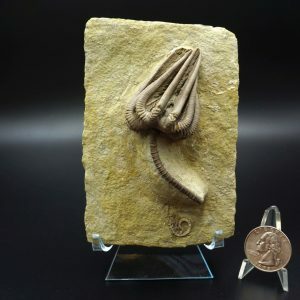 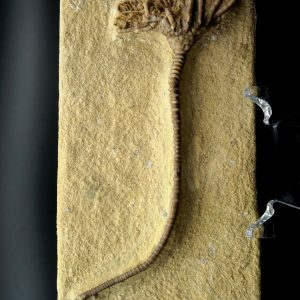 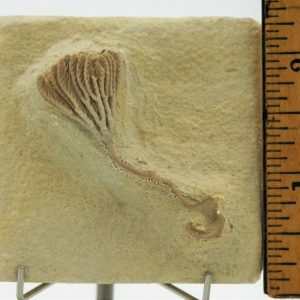 Although plant like in appearance, crinoids were actually marine animals. 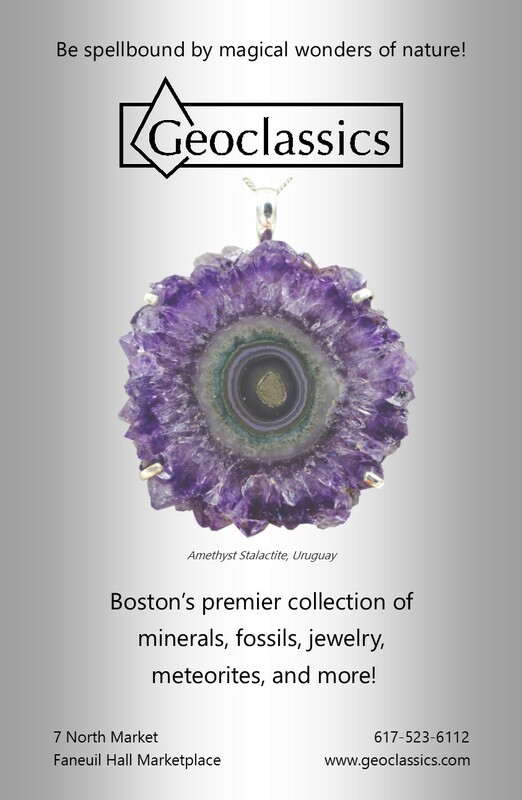 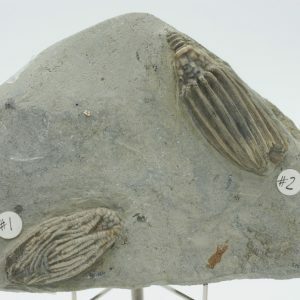 These first appeared in the fossil records some 530 million years ago, but became abundant during the Ordovician Period. 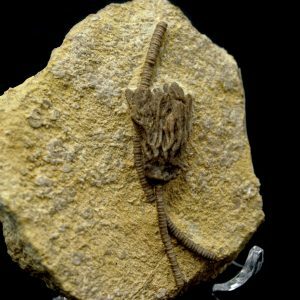 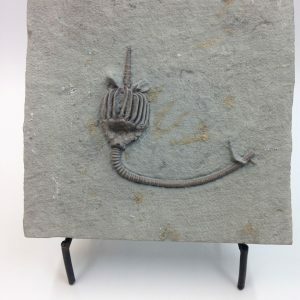 Crinoids flourished in shallow inland seas and lived in groups of several thousands, permanently attached to the ocean floor. 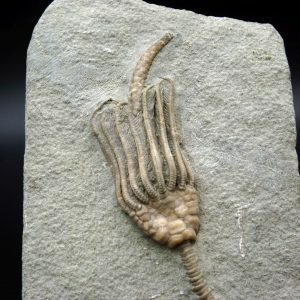 They fed on microorganisms in the passing sea water. 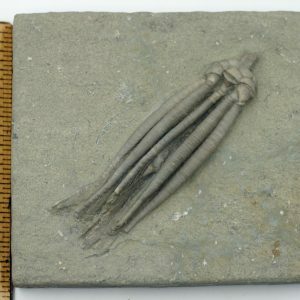 The feather star type were free-floating stemless crinoids that appeared more recently in the Mesozoic Era. 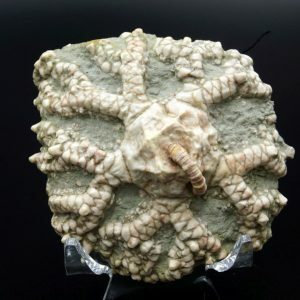 They would swim or crawl on the ocean floor in search for food. 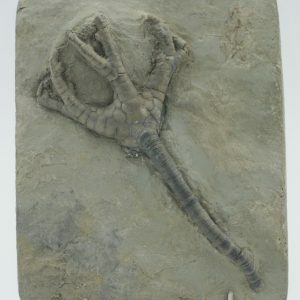 Feather stars are found in shallow tropical reef environments today.